Whether you are building, remodeling, or just doing some repairs, many times you need a type of sheathing or underlayment for the project. Numerous choices are available for this purpose, but the two most commonly used products are oriented strand board (OSB) and plywood 1. Both boards are made of wood with glues and resins, come in many sizes, and can be used for a variety of purposes. But each one is not necessarily right for every project. We outline the differences between them below so that you can make a more informed decision about which one will work for your project. OSB and plywood are formed from smaller pieces of wood and come in large sheets or panels. That, however, is where the similarities end. Plywood is made of many layers of very thin wood, called plys, pressed together with glue. It may be given a veneer 2 top of hardwood, while the inner layers are typically made of softwood. OSB is made of many smaller pieces of hardwood and softwood mixed together in strands. Because the pieces are smaller, the sheets of OSB can be much larger than sheets of plywood. 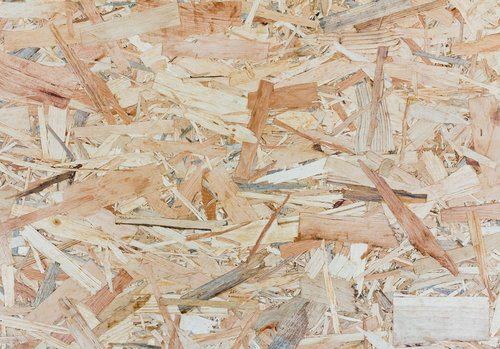 While plywood is often 6 feet per sheet, OSB may be much larger, up to 12 feet per sheet. Plywood can have many different styles and appearances. The top layer is usually a hardwood and may be any number of woods such as birch, beech, or maple. This means that the sheet of plywood takes on the appearance of the top wood. Plywood made this way is designed for building cabinets, shelves, and other items where the wood is visible. Plywood may also be made out of less-quality softwoods for its top layer. In this case, it may have knots or a rough surface. This plywood is generally used beneath the finished material, such as tile or siding. OSB does not usually have a top veneer 2. It is made of many strands or smaller pieces of wood pressed together, which gives it a rougher texture. OSB is not used for finished surfaces because it cannot handle a paint or stain the way that hardwood plywood can. Therefore, it is generally installed beneath a finish material, such as siding. In terms of structural installation for roofing or siding, OSB and plywood are very similar in installation. The only difference is that OSB is slightly more flexible than plywood, which has advantages and disadvantages depending on the setting and distance between the joists that is being covered. In both instances, the material is sized, set into place against the joists, and nailed down securely. Plywood is the more expensive option to build with than OSB. The material tends to be thicker and needs to be made to more exacting standards, which increases costs. A 4x8-foot sheet of construction-grade plywood costs roughly $10 a sheet, while the same size sheet of OSB costs only $6 a sheet. Both cost about the same to install, $70 an hour for a carpenter. Installing either sheathing over a 500 square foot area would cost roughly $160 in material for plywood and $100 for OSB. Installation costs for both would be $490, assuming that the carpenter can install approximately 75 feet of material per hour. The total cost for installing 500 square feet is roughly $650 for plywood and $590 for OSB. OSB and plywood vary in terms of durability. OSB absorbs water more slowly than plywood, which can be beneficial in areas of low dampness. However, once it has absorbed water, it dries more slowly. It also warps or swells after water absorption and will not return to its original shape. Plywood absorbs water more quickly, but it also dries more quickly. When it dries, it is more likely to return to its regular shape. Plywood’s edges also resist damage better than OSB, which can crack and fray upon impact and over time. OSB is heavier than plywood and, when properly waterproofed and maintained, will generally lie flatter. OSB is also more consistent than plywood. 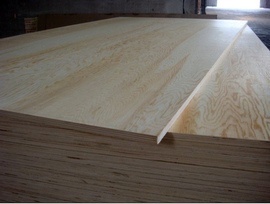 Plywood is available in many plys and different levels of quality. OSB is usually more consistent across the board, meaning what you see is what you get. Plywood and OSB are generally considered to have the same load strength. However, as plywood has been around longer, it has shown that it can last 50 or more years in an installation. OSB does not have the same track record because it has only been marketed for about 30 years. The proven track record of plywood often leads some people to believe that it is a more durable and longer-lasting product, but this is not necessarily true. Newer types of OSB, which have been treated to be waterproof, are likely to last just as long as plywood in similar situations. When used beneath flooring as a substrate, plywood is generally considered the better material. OSB flexes more than plywood. When used beneath tile, it can squeak when stepped on at best, and at worst, it may cause the grout 3 or tile itself to crack. For that reason, plywood is usually the recommended substrate if a wood substrate is needed. Of the two products, OSB is considered the greener option. Because OSB is made of many smaller pieces of wood, it can be created using smaller-diameter trees, which grow more quickly and can be farmed. Plywood, however, needs to use large-diameter trees, which are then rotary cut to produce the layers needed. Larger-diameter trees like this take much longer to grow and must be harvested from old-growth forests, which makes plywood a less-green option. OSB is still being produced using formaldehyde, however, while plywood must be produced without this chemical according to new environmental laws by the year 2019. Hardwood plywood is already available with soy-based glues and other materials that do not release urea-formaldehyde into the air. While it is possible that OSB will follow suit, it will soon be possible to find plywood without formaldehyde everywhere, while finding OSB without this chemical may be more difficult. 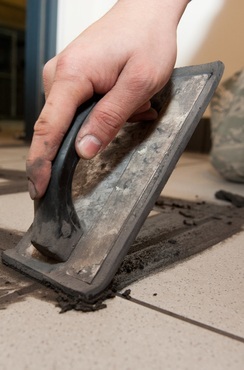 Neither material has any real impact on the resale value of a home. Both materials are considered structural when used comparably. When used structurally, the materials are hidden, and often not disclosed at the time of sale, which means that they have no impact on costs.